The L&K Actuator systems are used in beds and comprise of linear actuators of varied stroke lengths based on the requirement, paired with suitable controller and remote. 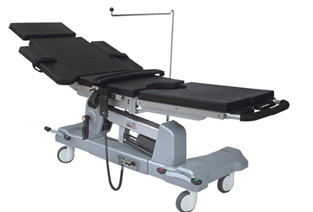 With the help of these, the users can attain the most comfortable position desired by them and adjust the positions with a remote selecting Backrest Knee Rest, Hi-Low or Trendelburg position. Special features like Nurse Panel, Electric CPR, Mechanical CPR, Battery Backup, Actuators with Manual Override Function, Emergency Lowering, Spline Function provide a variety of choices to choose from. L&K Actuator systems are also used for the production of different variants of the Best O.T. Tables. Ranging from single to five function tables with features like Low Battery Audio Alarm, Low battery Auto Cut-off, Twin Handset, Power Indicator, Lifting Columns for Central Pillar System, Top Slide and Floor Locking Feature on Five Function systems. The actuator systems give the users a variety of choices for multiple uses, from single function to multiple functions as per the needs of the user. Maintaining a critical ratio of power and speed, the actuator systems give you the best and most ergonomic solutions for your business and daily life.